This is a rectangular Woolsey Marine Paints porcelain sign. This particular Woolsey Marine Paints sign is predominantly orange and blue. 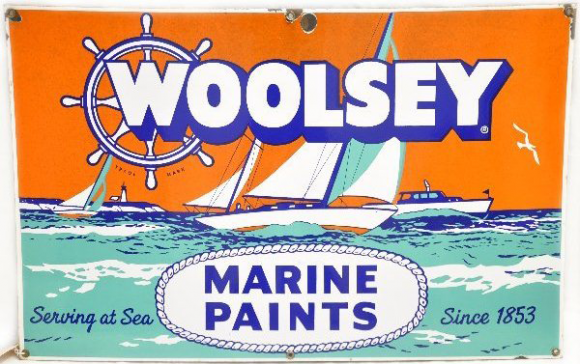 It reads, “Woolsey Marine Paints, Serving At Sea Since 1853” and features several different types of orange and blue marine vessels at sea.